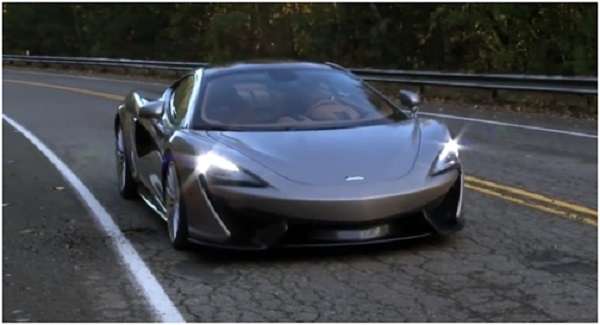 The world premiere of the new McLaren 570GT was held in 2016 as part of the annual Geneva auto show and, it is worth noting, the supercar received considerable interest not only from automobile journalists, but also ordinary people. Unlike previous versions of the 540C and 570S, the novelty is positioned as a practical everyday car, ideally suited for the role of Gran Turismo — a machine for «great travel». 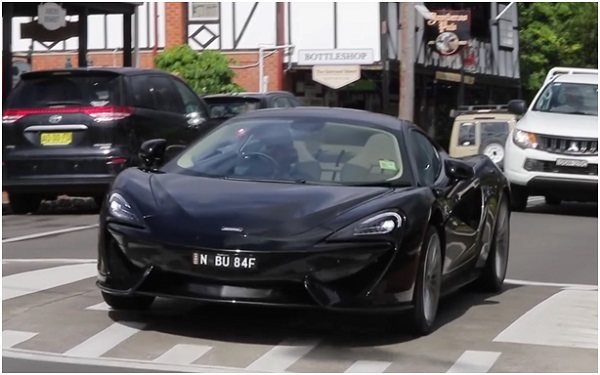 In the very same company, the car is positioned as the most luxurious and attractive car McLaren, from all the currently available models in the line. Indeed, the car looks excellent. In comparison with its predecessors, the exterior of the new McLaren 570GT 2017 looks more stylish and attractive. The front part of the supercar, resembling a shark muzzle, stands out with a massive, complex front bumper with large air intakes and the original curved head optics. The car interior is pushed forward as much as possible, and the windscreen panoramic glass provides an excellent view. 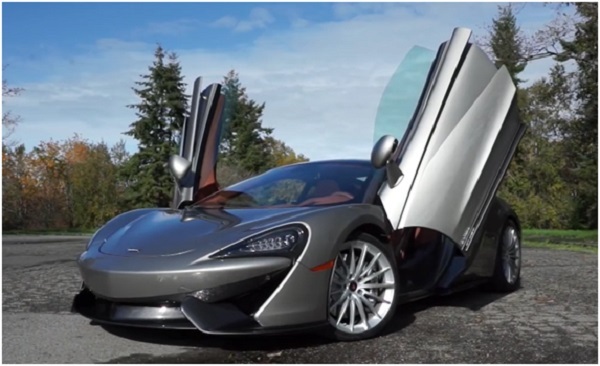 Side doors traditionally for McLaren models open upwards, and right behind them there are special aerodynamic air intakes, the task of which is to improve the downforce of the car. 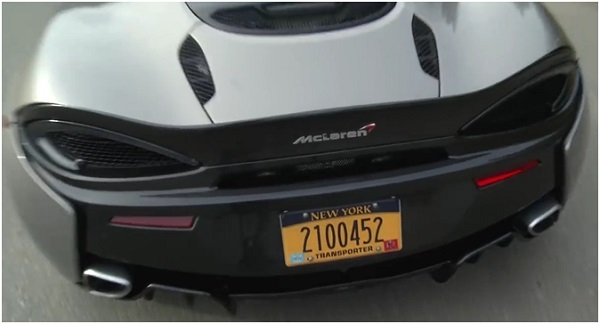 The McLaren 570GT has the most futuristic appearance, which is facilitated by the original overall LED lights, a muscular rear bumper with a sport diffuser and two triangular pipes of the exhaust system. Dimensions of the novelty remained the same and are: 4530 x 2095 x 1201 mm, with a wheelbase of 2670 mm. The interior of the McLaren 570GT looks no less impressive than its appearance. Before the driver is a small slightly truncated to the bottom three-spoke steering wheel and informative digital instrument panel. Virtually the entire center console is a large 7-inch screen multimedia entertainment complex, responsible not only for the multimedia component of the car, but also for the management of the microclimate. Elegant front seats provide a comfortable fit, and are also equipped with electrical adjustments and heating. Optionally, the buyer can order the installation of sports bucket seats. The quality of interior decoration, as well as the fitting of parts, is above all praise and fully corresponds to the class of the car. To the surprise of most, the car is equipped with two luggage compartments: the first is in front and has a volume of 150 liters, and the second is located behind the rear seats and is 220 liters. The 570GT version also received a retuned suspension, new adaptive shock absorbers and an electro-hydraulic power steering, which increased the softness and comfort of the car, as well as maintaining excellent handling. For the deceleration, steel brake discs (optionally carbon-ceramic) are responsible. 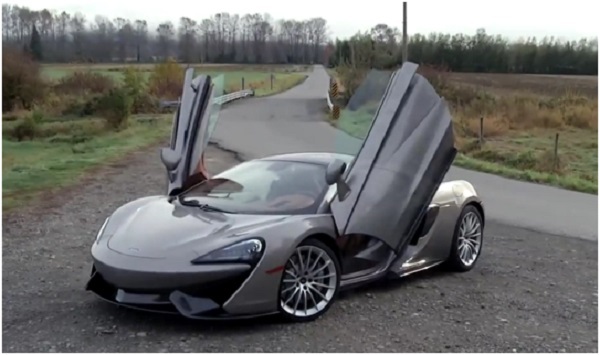 Price McLaren 570GT 2017 model year starts with a mark of 195 thousand euros or about 12.2 million rubles. The McLaren 570GT is one of the most practical of all the supercars of hypercar produced nowadays, combining excellent dynamic characteristics, a high level of comfort and practically standard handling.